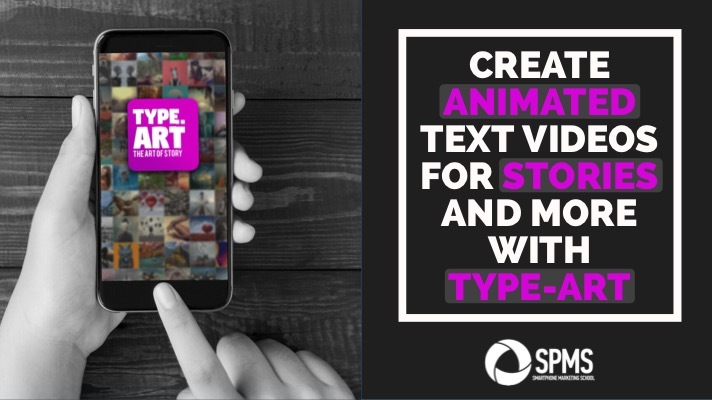 Looking for an iOS animated text app for Stories, Facebook and Instagram ads, or to use as intros and text inserts in longer smartphone videos? One iOS animated text video app I’ve been having fun with lately is Type Art. Here’s a quick example of a Story I made with this app (the actual video was longer and had music, too). The following are some important features and details about this app (I have the Pro version, so keep that in mind if the free version doesn’t have it. And this is NOT a sponsored post). combine videos and photos of 15 seconds or less. This is not a full video editor. It’s meant to grab your audience’s attention in a quick amount of time. 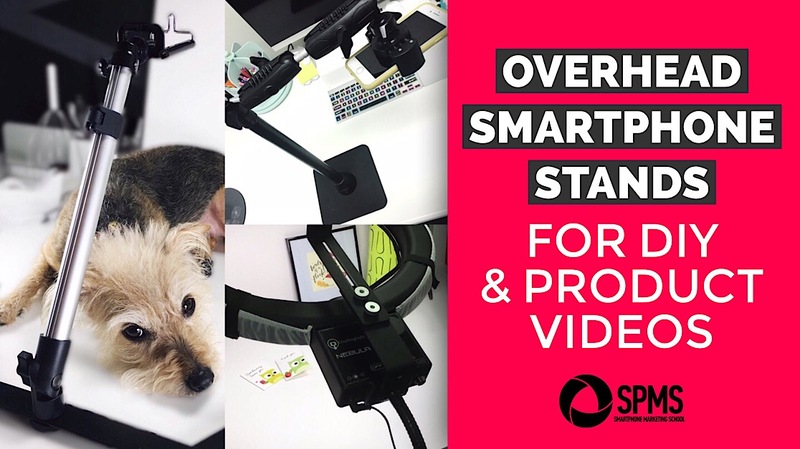 create videos in three different orientations – square, vertical and widescreen. 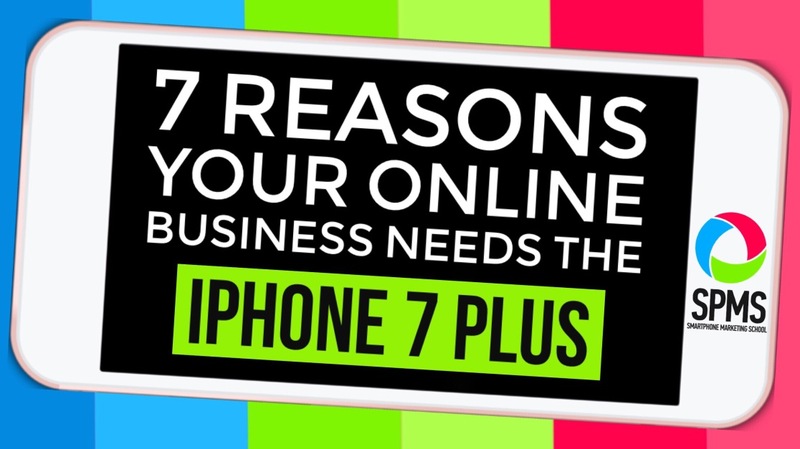 With this video app, you have all your social media bases covered. You can watch the following tutorial at my YouTube channel or keep reading to see how to use all of the above features. You can use the built-in camera to video in the moment (very similar to recording in Instagram Stories) or you can tap the bottom left-hand corner to import from your camera roll. As I mentioned earlier, you can insert photos and videos up until 15 seconds. The red bar at the top lets you know more or less the duration of what you imported. Once you’ve met or surpassed 15 seconds, the app will automatically go to the edit page. While you’re filming or importing, you can go ahead and choose your orientation by tapping the crop icon at the bottom of the screen. Here I’m sticking with vertical for Instagram Stories. If later on in the editing page you decide to change the orientation, you have the option for you on that page also. Just like in Instagram Stories, swiping left or right will provide a bunch of different and unique filter options. Once the app opens to the edit page, it will automatically provide an animated text box. Double-tap on it to change the text. Here you can edit the colors and choose different text options. Once you tap the check mark, you can still choose different text styles by typing the text icon. To add music from Type Art’s selection or from your music library, tap the icon in the bottom left-hand corner of the screen. You can trim the music and choose from various styles. You can also tap the reverse button and reverse your video if you want to. One of my favorite features of this app are the stickers that add an extra touch of design to your text overlays. Some of the stickers are still images but some are animated which provide a flashy effect. Once you’ve finished adding animated text, stickers, and music, you’re ready to upload. Just tap the upload button in the top right-hand corner and decide where you want your super cool animated text video to go. 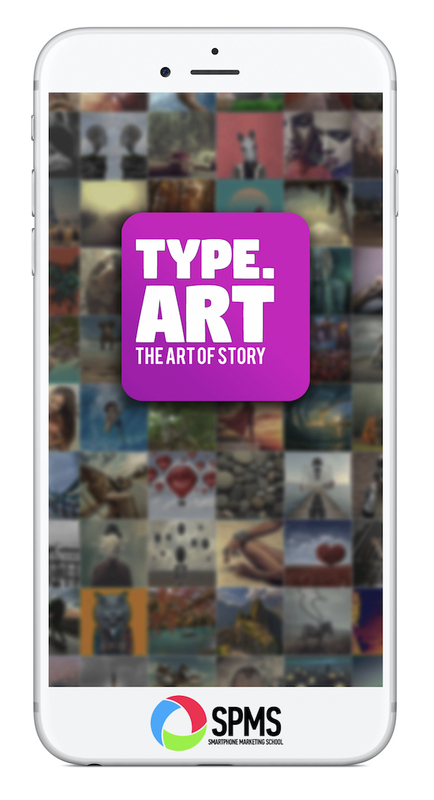 If you’re looking for an easy iOS app to add animated text, stickers, and music to your Instagram Stories videos, I think you’ll really enjoying trying out Type Art. If you’d like more Stories tips, check out my Awesome Instagram Stories post or my top IGTV Video Apps post. 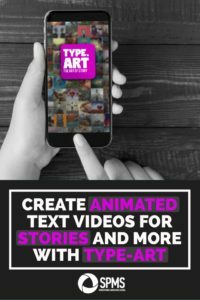 Want to remember this post on Type Art and adding animated text to your Instagram Stories? Pin this post to your Pinterest account. Previous article	Download and Repost Instagram Stories Quickly!